There is nothing quite like slicing up a fresh pineapple while sitting in the sun in Hawaii. It tastes so juicy and sweet, but it is very easy to overeat. According to the Mayo Clinic’s site, it is easy to confuse a food allergy with a much more common reaction known as food intolerance. While bothersome, food intolerance is a less serious condition that does not involve the immune system. I have a local reaction in my oral cavity when I eat too much fresh pineapple (a tingling mouth from the acidity and/or enzymes). However, if you get itchy skin elsewhere (inner ears, eyelids) it could be an allergic reaction. The “chokey” feeling could be the beginning of an anaphylactic reaction, which can be life threatening if your throat totally closes up. 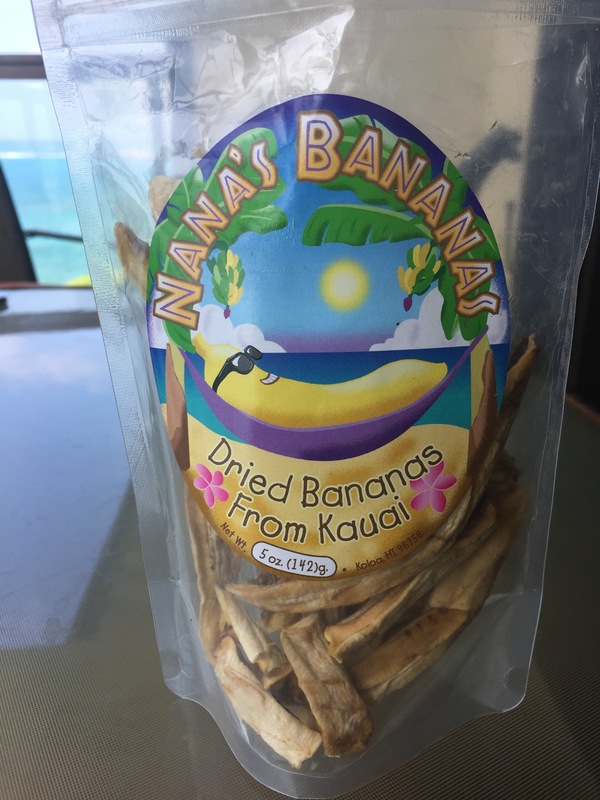 I found these yummy dried bananas at a farmers market on Kauai with two ingredients-bananas and lemons. These are not the unhealthy banana “discs” with added sugar sold in many grocery stores. The texture is like fruit leather. Always watch your serving size of dried fruit since it is very easy to overeat. There is a wealth of information on packaged foods to educate you. Get into the habit of reading the Nutrition Facts label on all packaged food. Know what you are putting into your body and focus primarily on whole foods! 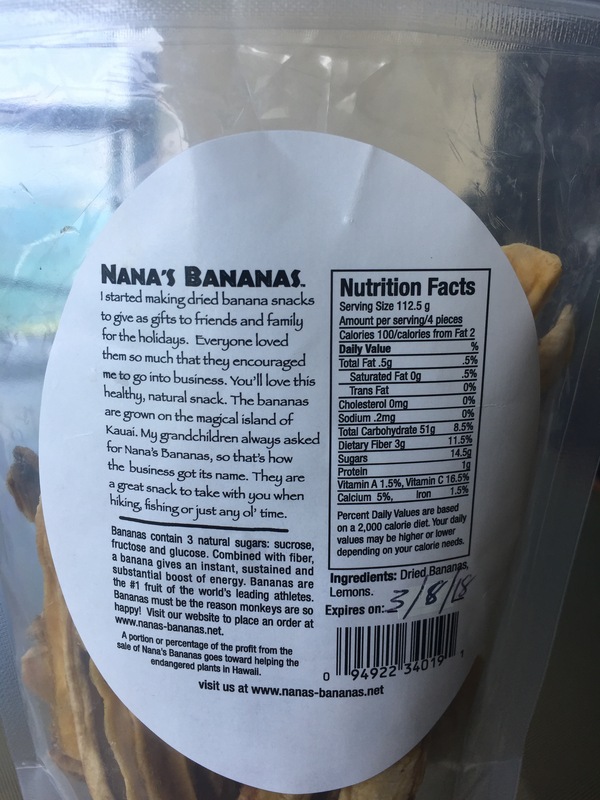 This entry was posted in Eat Real Food and tagged Nana's Bananas, Nutrition facts, Pineapple, Serving size, Whole foods. Bookmark the permalink.